Birds of a Feather – the fluffy feather trend is still going strong this summer. Skirts, Shoes, Bags, and Jewelry. 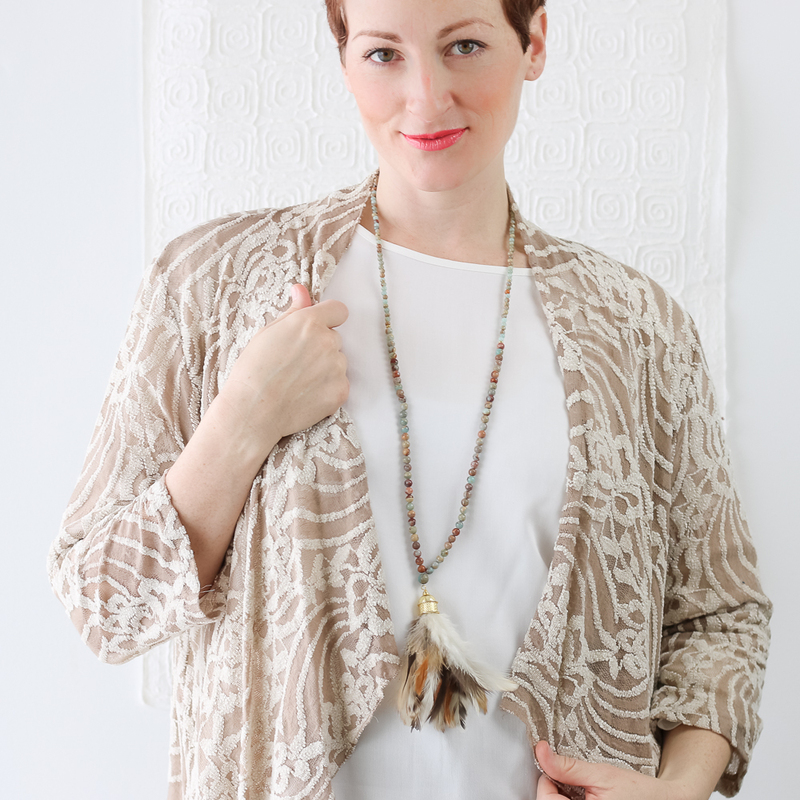 We offer some beautiful one of kind fluttery earrings and necklaces. 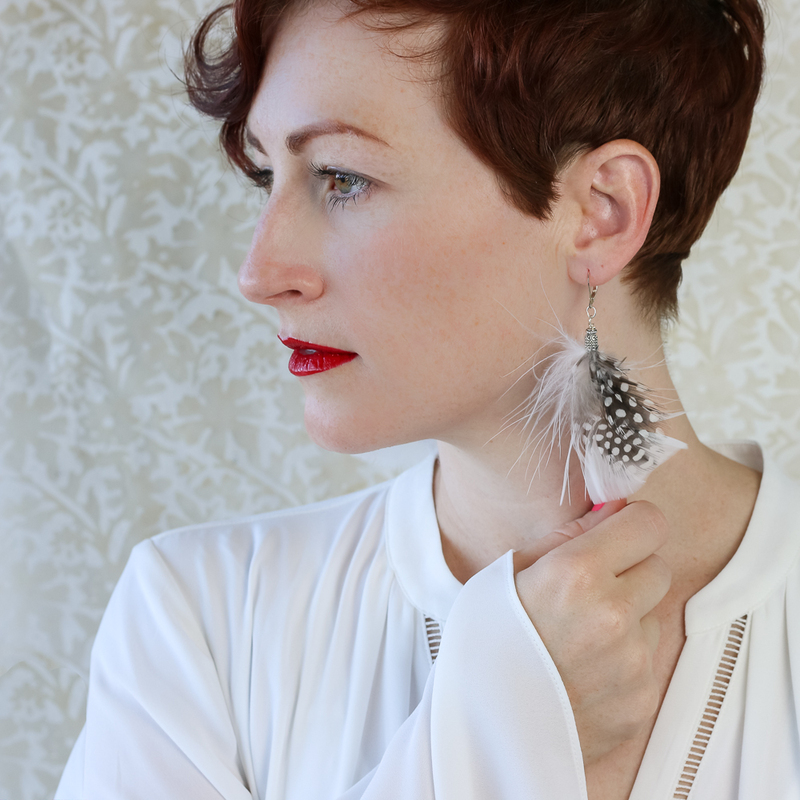 These earrings make a big statement but are light as a feather :). They are soft white ostrich feathers with striped pheasant feathers. Beautiful for your summer style. Nature loves polka dots too. 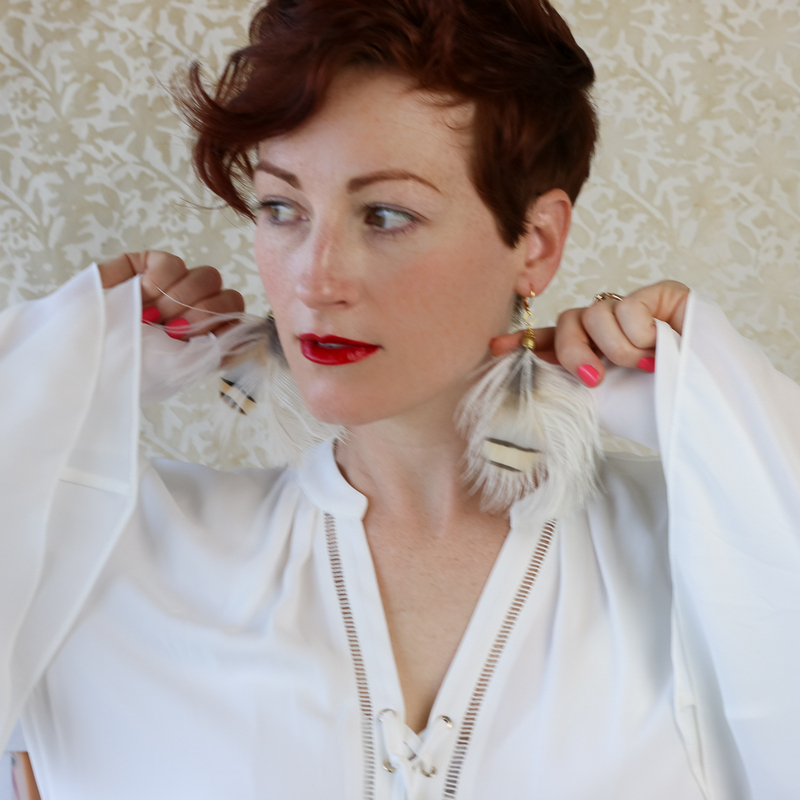 These Guinea Feather Earrings are perfect. 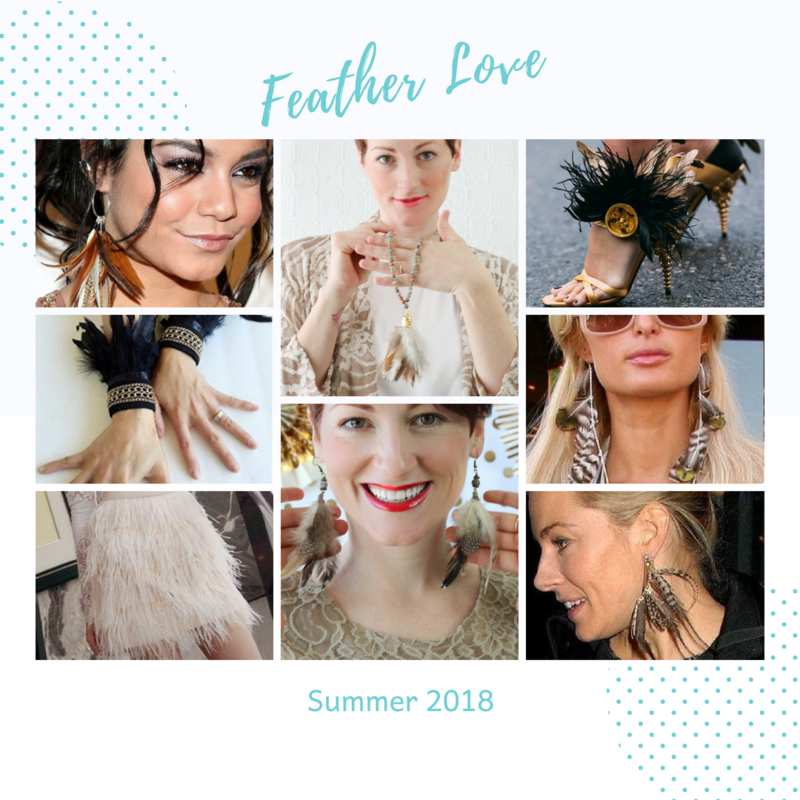 This feather necklace will attract a lot of attention. It’s a natural beauty.